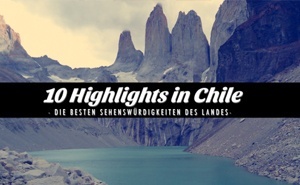 Die 10 besten Sehenswürdigkeiten in Chile - hilft dir bei Deiner Routenplanung! Recently I often get asked about the best places to visit in Chile. So I challenged myself and wrote down my personal top 10! 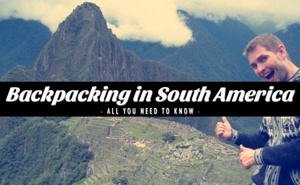 I have been backpacking in Chile 2 times already where I managed to visit 13 of 15 regions. The best time to travel Chile is from October till March – in Patagonia December till beginning of March. 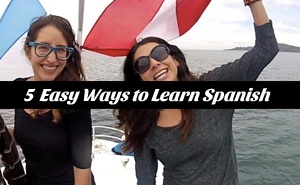 If you are planning your trip I highly recommend learning spanish beforehand. Let's start our trip in the north. The Atacama Desert is the driest desert in the world but has a lot to offer: the moon valley, flamingos at the colorful lagoons, sand boarding at the dunes, volcanos and an amazing view at the night sky. San Pedro de Atacama was my starting point for backpacking the north of chile – checkout all possibilities and things to do in the atacama desert here. If you travel further south your next stop should be a city located next to a lake and a volcano: Pucón. After I made my way up to the Villarrica Volcano I was overwhelmed by the view and pretty sure that this spot is one of the best places to visit in Chile for outdoor lovers and adventure seekers! For more information checkout another great guide I put together – Backpacking Chile: Top things to do in Pucon – where you also see more photographs taken there. Ok…volcanos sparked our interest – another cool one can be found close to Puerto Varas and looks pretty much like the little brother of Mt. Fuji. Getting up there is even easier as there is a street which leads almost to the top – the view is different but also impressive. This and the following 3 best places to visit in Chile are for those who are up for real adventures due to the fact that those spots are located in the most remote area of the country – the Carretera Austral. Right at the beginning you have to cross the many Fjords between Puerto Montt and Chaiten with different ferries to make you way down and you will feel like being in Scandinavia. The Futaleufu is one of the most picturesque rivers on our planet! Rafting pro's mention this river as one of the world's best spots for white water rafting and this is what you should do there to experience the pure beauty of the Futaleufú river. I went on a multi day rafting adventure with Chris from ExChile, a former US Olympic team kayaker (video to follow). The marble caves are not only one of the best places to visit in Chile – they should be on your bucket list for South America! You have possibly seen those caves on pictures all over the internet in collections like “places to see before you die” or “natural wonders of the world”. The truth is: not many people have seen those caves in person as they are located at the southern part of the Carretera Austral inside the second largest lake of South America. The last 3 spots have been hard to access – this one is the cream of the cake! It takes a lot of time to get there and get out from there which also means that you won't find many people doing it. I made my way from El Chaltén to Candelario Mansilla and continued to Villa O'Higgins – a great trek itself with beautiful views to the lake! This one shouldn't be missed when in South America as the national park Torres del Paine offers so much diversity in a comparably tiny area: glaciers, lagoons, impressive mountain ranges, grasslands and green forests. I spent around one month in the area and put together one of the most detailed guides you can find online and produced a whole video series as well as a photo essay with more great pictures to convince you to go there! You like penguins? This is a paradise for you! Close to Punta Arenas, the biggest city in the south of Chile you are able to go on an excursion to Isla Magdalena, an island which more than 50.000 penguins call home! 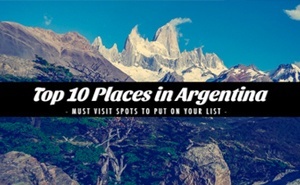 After Punta Arenas I recommended to make your way down to Ushuaia and with that start exploring the 10 Places to Visit in Argentina! [box type=”info” ]So you want to travel Chile now? Did I miss any important spot? Tell us your favorite spot in the comments below and feel free to share this article with your friends! I love this! Been reading your Chile Articles, would like to ask which Ferry did you take to go from Puerto Montt tp Natales? Is that ferry the Navimag or something else? Any idea on the cheapest mode of transportation? 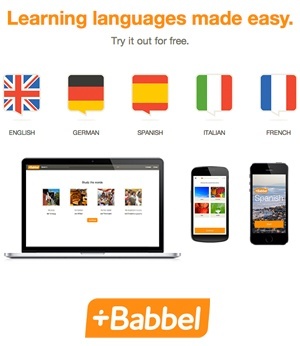 Hello, did you travel by bus or train or plane?? is it possible!?! How long to travel this 10 highlight points? Hey – both is possible depending on the time you have. You can find detailed itineraries in my travel guide. The South – I love Patagonia! Hi! I’m part of planning the Newport Beach Film Festival in Newport Beach, and my group is part of the Chilean spotlight specifically. Can we post your photos on our Instagram, making sure to give you credit?